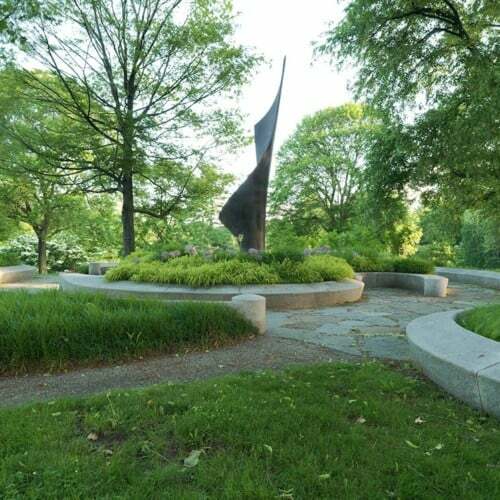 Willow Knoll is located on a hillside that overlooks Mount Auburn Cemetery’s beautiful Willow Pond. 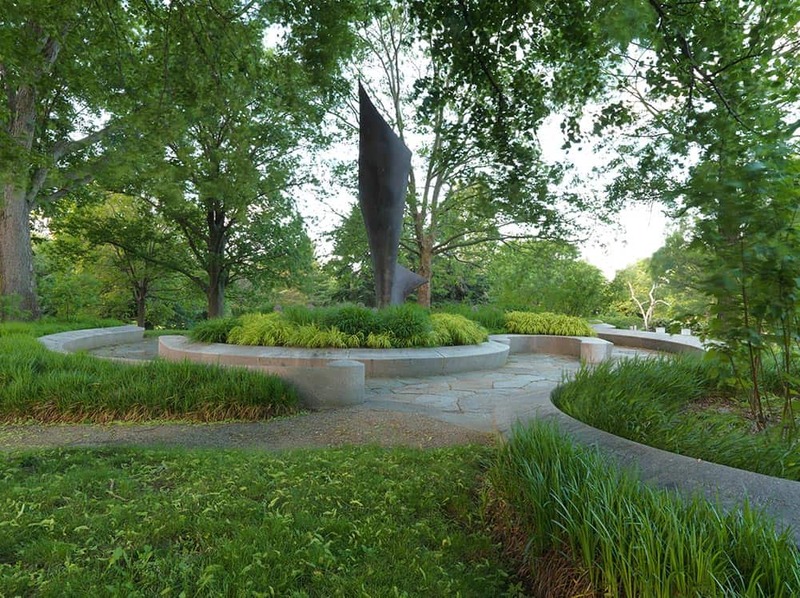 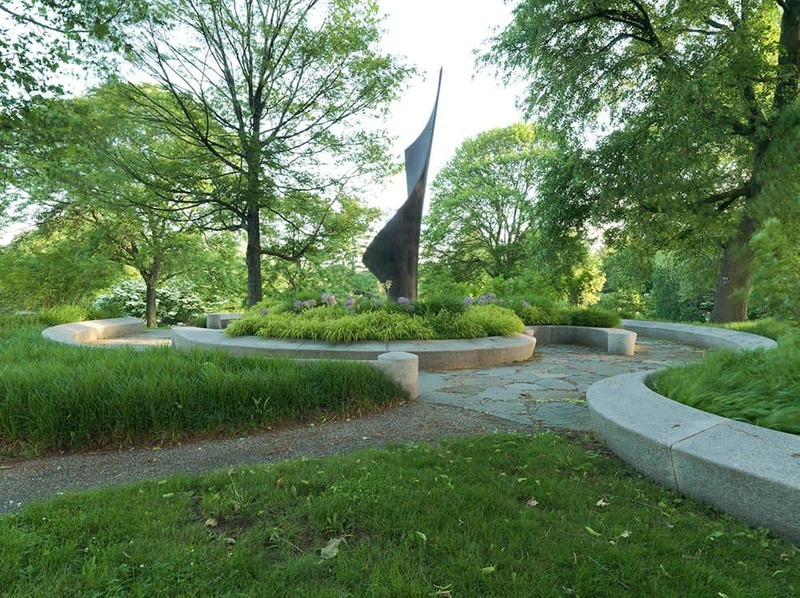 An evocative Corten-steel flame-shaped sculpture by sculptor Richard Duca occupied the top of the knoll, so JMMDS took inspiration from its shape to change the straight, radial paths to swirling curves reminiscent of the sculpture. 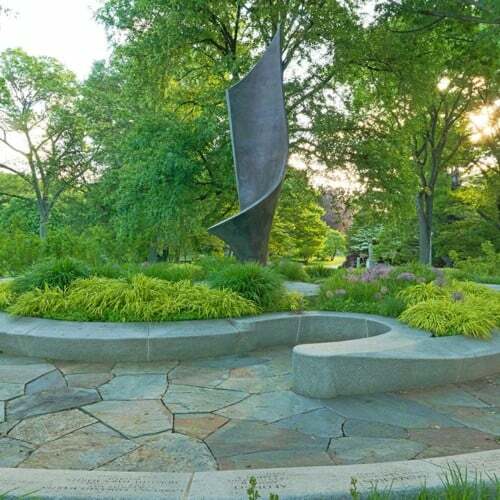 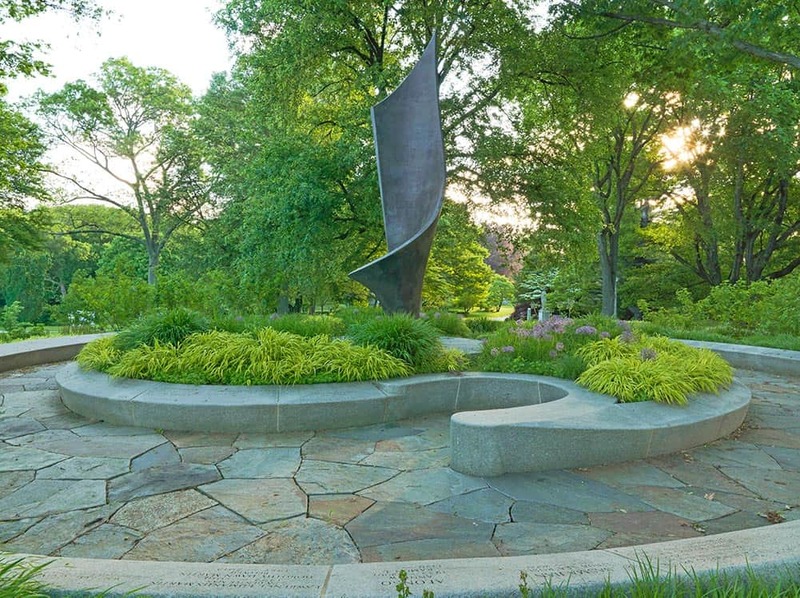 Granite walls act as harbor-like seats or as memorial tablets, defining planting beds that soften Goshen stone terrace and paths. 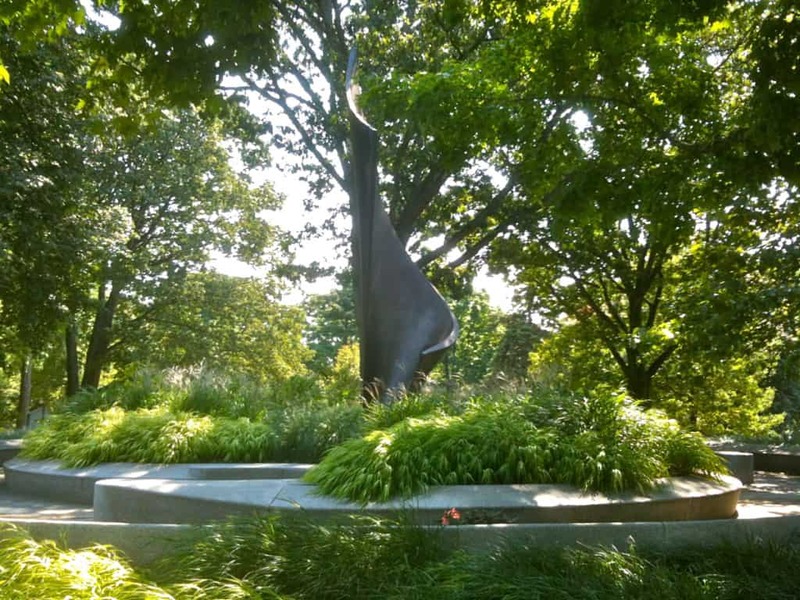 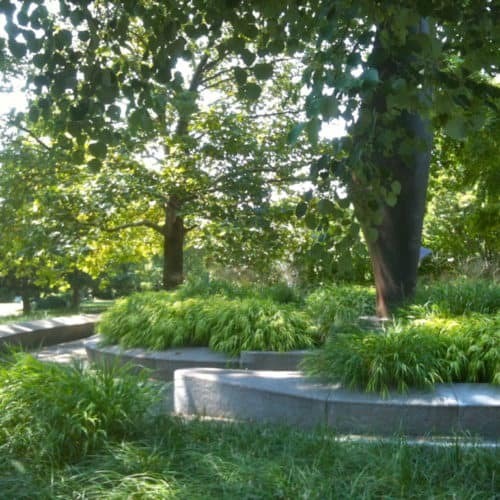 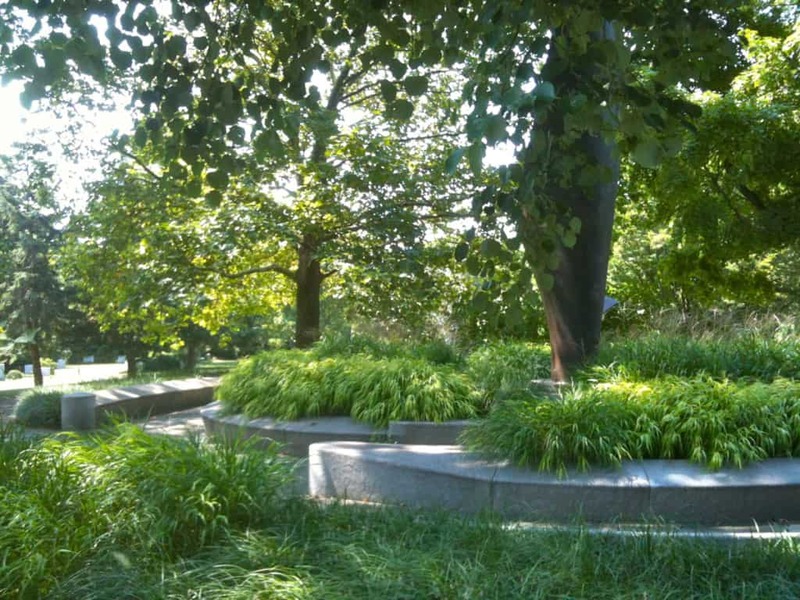 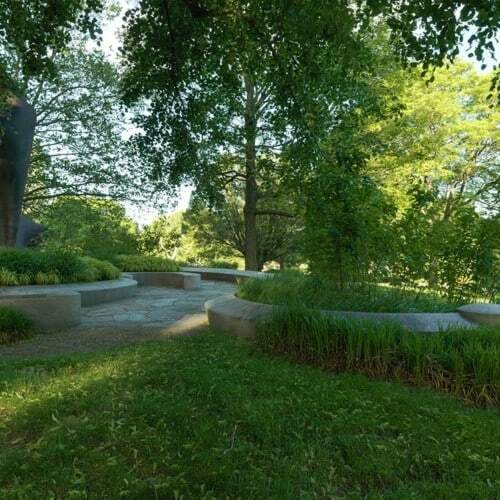 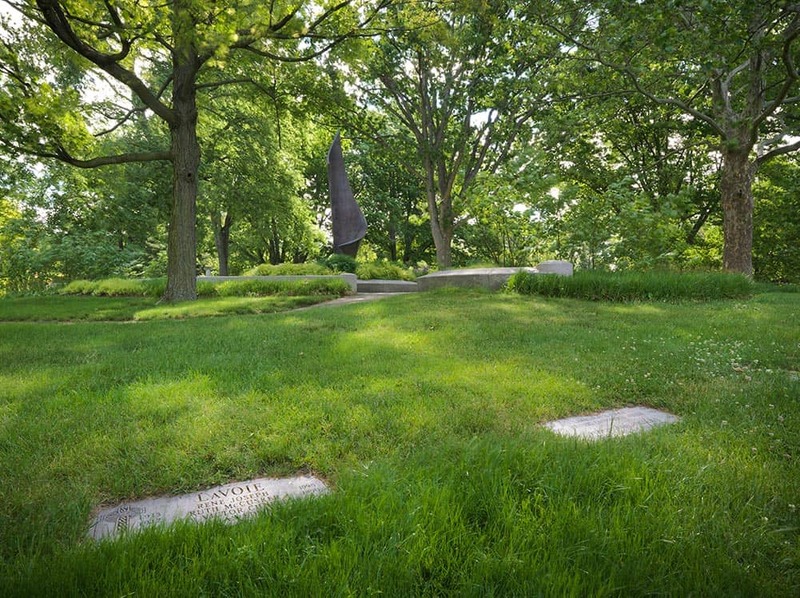 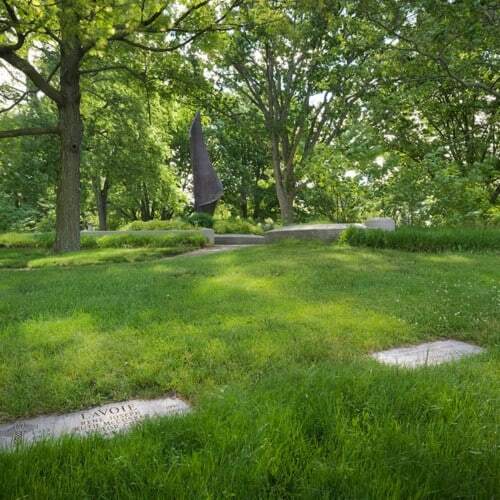 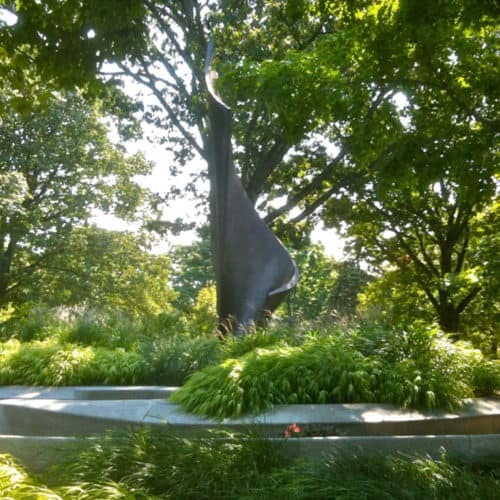 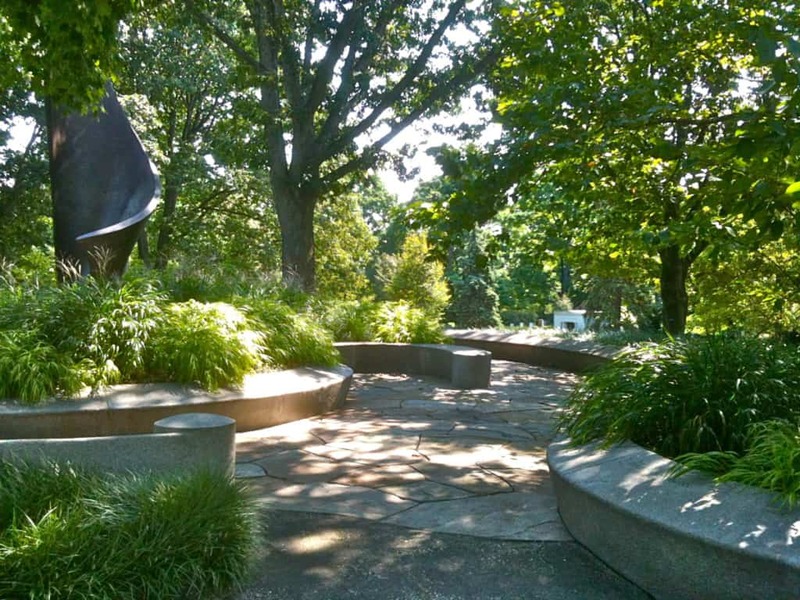 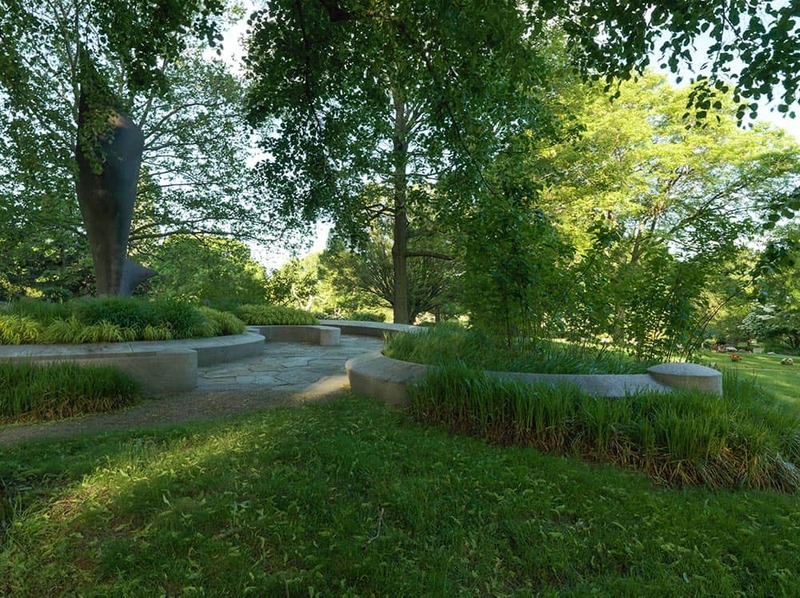 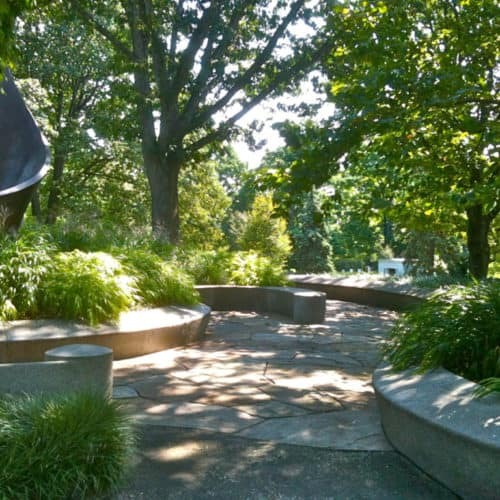 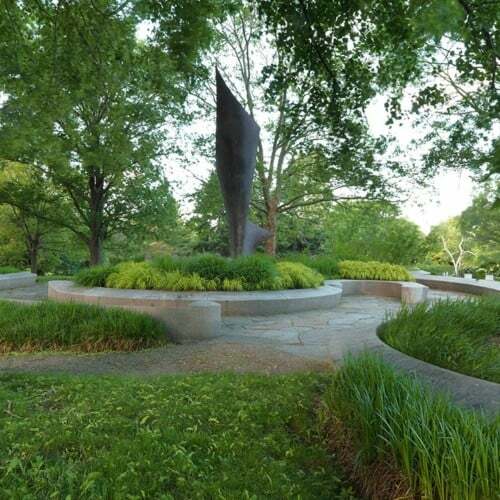 With its curvilinear lines, beautiful views and billowing plantings, Willow Knoll has become a favorite burial place for artists, scientists, and musicians.